Tata Consultancy Services (TCS), which on Monday became the first Indian company to cross $100 billion in market capitalisation, is looking at newer technologies such as Internet of Things (IoT), automation and cloud computing to push its digital revenue past the $5 billion mark this year. TCS chief executive officer and managing director Rajesh Gopinathan told Press Trust of India that the company's Business 4.0 strategy involved helping clients undergo digital transformation to streamline operations. "There are many components to digital technologies - there is cloud, automation, analytics, IoT," Gopinathan was quoted as saying. "People have been looking at various technologies, each of which is powerful and valuable in its own right but the point has been how do you stitch it together to help businesses?" He said that Business 4.0 was looking at solving the particular issue of stitching the tech to businesses. Gopinathan also said that opportunities surrounding newer technologies were aplenty and on the rise. "Last year, we had crossed $3 billion (in digital revenue)...It has grown 35%, it has grown faster than it had grown last year. We have crossed $4 billion in digital revenues... Run rate-wise, it is close to $4.7 billion," Gopinathan said. Last month, the CEO had said that the company's analytics business contributes $2 billion (Rs 12,800 crore) in revenue annually. Data analytics allows businesses to understand how, when and where people consume certain goods and services. It is also used as a predictive indicator for future customer behaviour. TCS recently moved its Business Process Outsourcing (BPO) head Dinanath Kholkar to run the analytics division. The BPO business brings in around $2 billion in revenue every year. Gopinathan has rejigged TCS' businesses since taking over early last year when his predecessor, N Chandrasekaran, was appointed chairman of Tata Sons. As part of the reorganisation, three digital entities including Internet of Things (IoT), automation and analytics were formed. For the quarter ended March 31 2018, TCS' revenue from digital engagements accounted for 23.8% of its overall revenues, growing at 42.8% year-on-year. 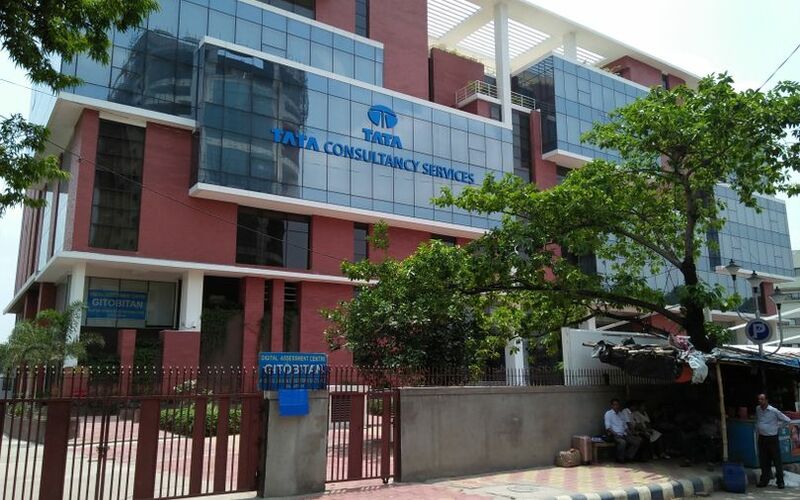 TCS posted a 4.4% growth in net profit year-on-year at Rs 6,904 crore (a little more than $1 billion), while its revenue was up 8.2% to Rs 32,075 crore in the March 2018 quarter. For the full fiscal, its revenue rose 4.3% to Rs 1.23 lakh crore.